Food, really good food… nourishes the soul. I was having dessert for breakfast at Flour Bakery. I could have spent all day here but alas one cannot live on chocolate alone. I needed to stock my kitchen with ingredients that were more substantial. Brillat-Savarin could not have said it any better, “dessert without cheese is like a beauty with one eye.” and that is why I decided to stalk my kitchen with a good selection of bread, cheese and pasta. The only place to buy cheese in Boston is Formagio Kitchen. 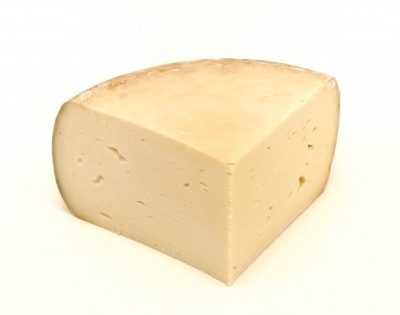 The term ‘kitchen’ suits Formaggio as walking into the store you’re reminded of stepping into a pantry. The shelves are lined with plethora of food products that can only be described as quaint and artisanal and in some cases international. In this case, Formaggio is like the UN of cheeses, with selections from thirteen different countries and contain varieties made from the milk of cow, buffalo, sheep and goat. I perused through the shelf for the first thing on my list which was coffee. I picked up a bag of Giamaica Crema Caffé, which comes from the region of Veneto in Italy. It is a blend of three types of Arabica beans with subtle hints of hazelnut and chocolate. Next on my list was some good bread, pasta and some really stinky cheeses. I grabbed some Winnimere, Ardrahan, Gorgonzola and just because it was Halloween some Munster. In the end I decided to round out my selection by adding some sweet additions, namely Salty Oats Cookies. These cookies are known to have a sweet and curiously salty flavor. 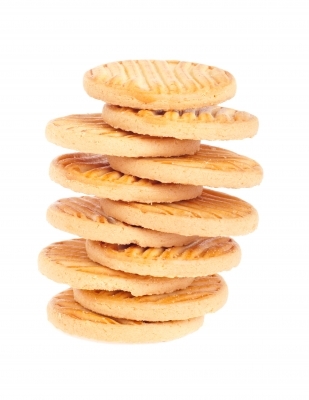 I also dropped in my basket a package of butter cookies, but not any cookies, Arraya Sables Pur Beurre Cookies from the Aquitaine region of France, that are addictive in their own right but divine with espresso. There is no shopping like food shopping – sometimes it’s even more satisfying than shopping for shoes. When I arrived at my building I was ready to take a load off my feet but the concierge flagged me over. There was a package for me in the back. I sat down in the soft visitors couch. . I looked up at the ceiling only to be accosted by ghost (fortunately it wasn’t Grams), witches and huge spiders that weaved intricate webs amidst the lighting overhead. Halloween had not forgotten our neighborhood. It was early afternoon, a time when children are returning home from school with parents or nannies. The nannies often had the young, squeaky clean girl next door look, while the mothers were stylishly dressed with expensive haircuts, loose sweaters over skinny jeans and Jimmy Choo flats. There were subtle differences between the two. If you looked closely the mothers weren’t as young as they looked, they had tired circles under their eyes and wore large diamonds on their ring finger. As people walked by I got a few curious glances. I hoped I wasn’t exuding au de stinky cheese from my shopping spree. I looked up to a smile that had the warmth of freshly baked croissants dripping with butter. His tousled blonde hair looked like he had just stepped inside. He was wearing a camel colored trench coat. The sun caught the flecks of gold in his hair and his hazel eyes. “My favorite,” he said looking at me. Then I realized he was looking at my basket…my Arraya Sable Pur Beurre (butter) cookies; before he too was hailed to collect a package. I watched as he received his package and then as he stepped into the elevator, the doors finally closing and obscuring my vision. When I reached my apartment I saw all the telltale signs that Rumi had been there and gone: empty takeout containers, smelly pair of sneakers tossed casually about coffee rings on the glass table where a coaster should have been placed. I was so annoyed I considered hiding my cheese. Later that night as I sat in front of the tube watching nothing in particular, I had finished dinner and put away all my groceries. My in-box on was open fluttering with mail I had yet to respond to. There were things I wanted to do and people I wanted to see, eventually…but for now I liked the silence of ghosts. I had half a glass of wine in my hand and I looked at it as if it were a crystal ball. It was time to break out the cheese. I knew just the person that would be interested. Harry was like a good piece of Camembert, beneath the coarse rind he was all soft and gooey and for someone that can be described as no less than a huge curmudgeon, he had a remarkably delicate palate. “This is great. Tastes like somebody took some moldy Cheetos and spread them over a cracker,” he said licking his lips. I couldn’t of said it better myself.